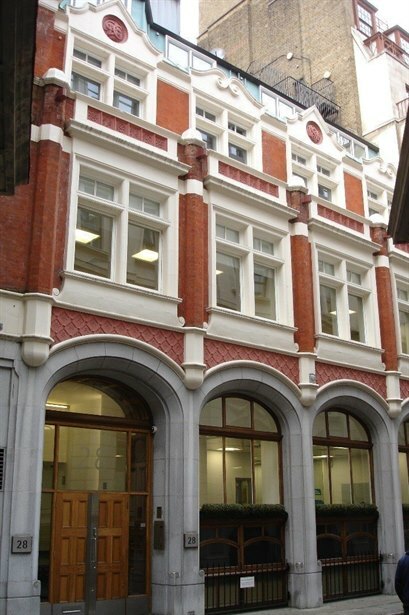 The property is located on the south-west side of Austin Friars, just off Old Broad Street and Throgmorton Street. Bank (Central, Northern and Waterloo), Liverpool Street (Central, Circle, Hammersmith and City) and Moorgate Stations are close by, providing British Rail and underground services. The available offices have been newly refurbished. The entire second floor measures 1,290 sq. ft (119.84 sq. m) and the entire 4th floor, is 785 sq ft (72.92 sq m). The premises are available by way of a lease for a term by arrangement, direct from the Landlord. Approximately £13.80 per sq ft.